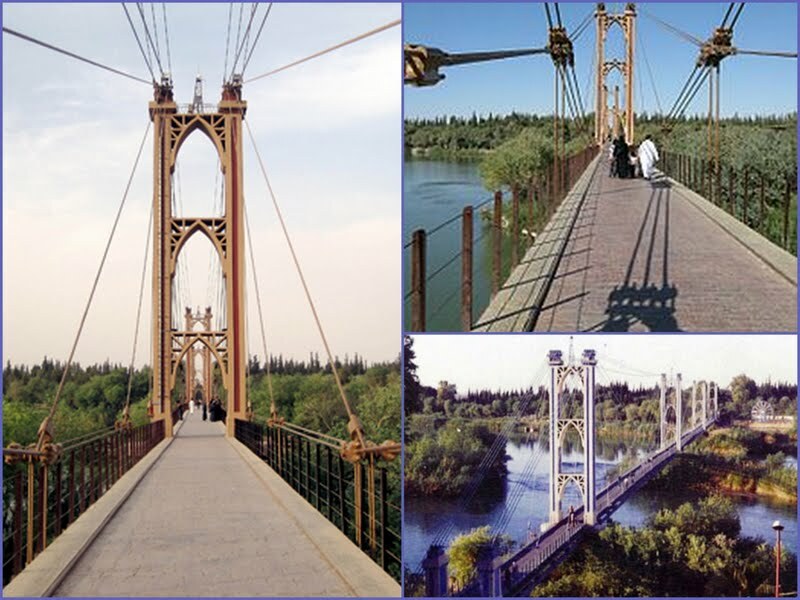 The celebrated suspension bridge, which straddles the Euphrates River and connects the eastern city of Deir Ezzor with al-Hasakah in the northeast corner of Syria, was yesterday bombed and brought down by Syrian regime forces, according to eyewitness accounts. The 450m long cable-stayed suspension bridge, which was built by the French in 1927, originally carried vehicles but was later restricted to pedestrian and cyclist traffic. 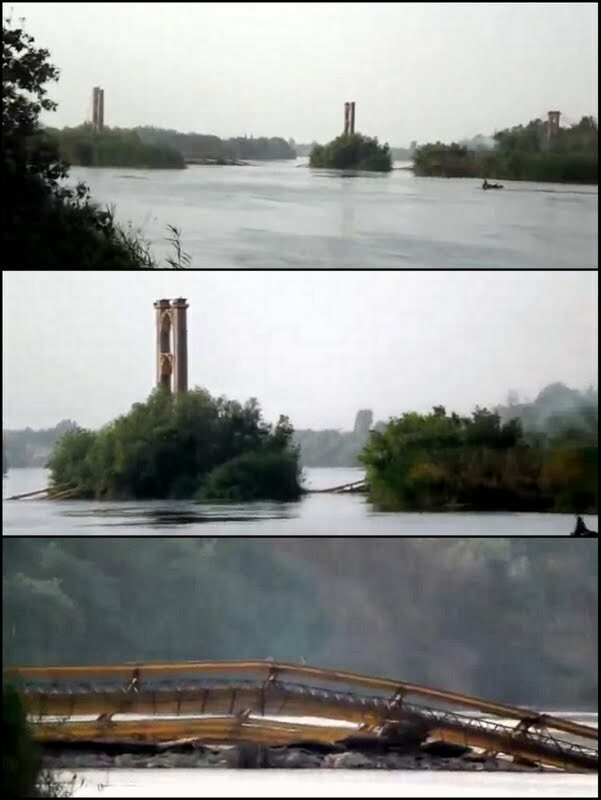 “For over 86 years, this historic bridge has connected the two Euphrates banks, but due to Assad’s disregard not only for human life, but also for our national monuments, it now lays in ruins. 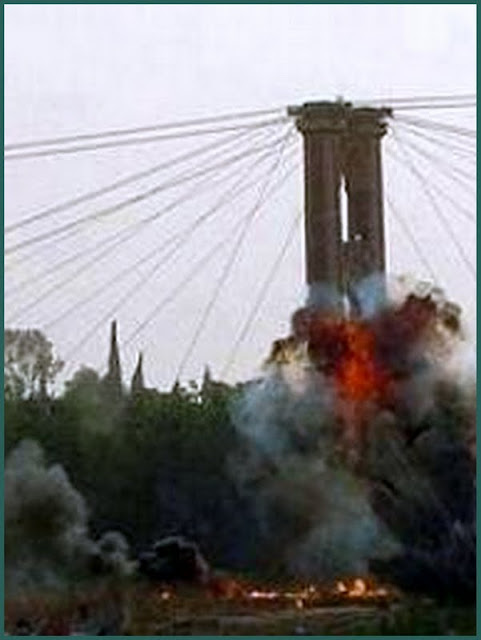 Destruction of the bridge follows last week’s demolition by Syrian army tank fire of the minaret of the landmark 12th century Umayyad Mosque in the northern city of Aleppo. UNESCO describes the world-heritage-listed mosque as one of the most beautiful in the Muslim world. For a list of heritage sites damaged so far during the Syria war, press here.